Located in northwest Florida's Panhandle along the Emerald Coast, Fort Walton Beach has warm yet mild temperatures that make it a great destination for a Florida getaway in the summer, and a host of festive events and discount travel deals that make it ideal for a budget-friendly escape from the cold of most of the northern United States in the winter. Although Fort Walton Beach has an overall average high and low temperatures of 78 and 54 degrees Fahrenheit (26 and 12 degrees Celsius), respectively, the weather can be unpredictable, so visitors should expect extremes from time to time. That was evident in 1980 when the temperature reached a sweltering 107 degrees Fahrenheit (42 degrees Celsius) and again in 1985 when the thermometer dipped to a very cold 4 degrees Fahrenheit (minus 16 degrees Celsius). Additionally, while the summer is the warmest time to visit Fort Walton Beach, it's also the wettest season, and the city receives an average of around 6 inches of rain per month throughout the year. Whether you're looking for a fun destination for a family trip in August or want to plan an intimate escape for Mardi Gras that's off the beaten path, Fort Walton Beach has something for everyone all year long. Due to its location on the Gulf of Mexico in Florida's panhandle, Fort Walton Beach is subject to several tropical storms and maybe even a hurricane each year during the busy Atlantic Hurricane Season, which takes place from June 1 to November 30 each year. Be sure to follow our tips for traveling during hurricane season if you'll be in Florida during this time of year, and you should be prepared to evacuate if Fort Walton Beach is in the path of an oncoming hurricane or tropical storm. While many people think of Florida as the ideal destination to escape from harsh winter in the northern United States, Fort Walton Beach's location in Florida's northern panhandle means you'll still experience a bit of the winter chill for most of the season. With an average temperature of 51 degrees Fahrenheit (12 degrees Celsius) between late November and mid-March, you'll need to be prepared for colder weather despite the relatively dry forecast, and while you won't see much snow, you also might not want to spend a day at the beach this season. What to pack: Leave the bathing suit at home this season because the Gulf of Mexico is only slightly warmer than the weather. Instead, you'll want to pack clothing you can layer—from light T-shirts for unseasonably warm days to a light to medium coat for some of the colder nights. 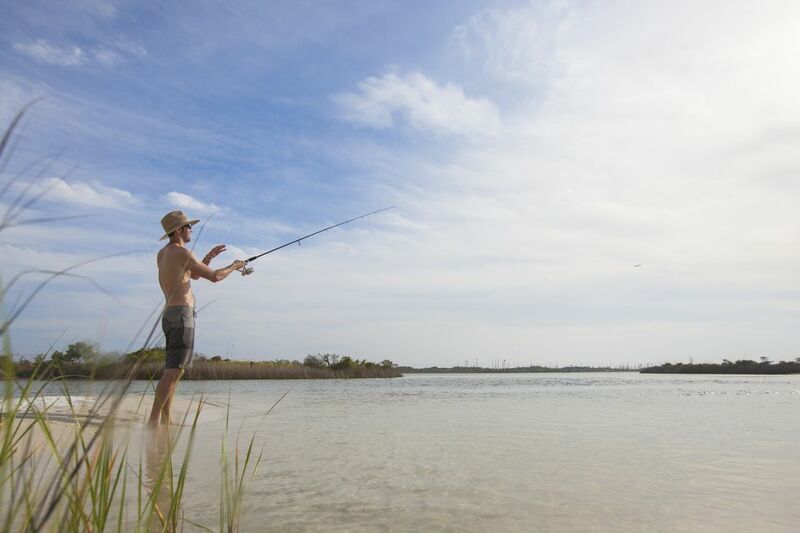 As the driest season of the year, spring in Fort Walton Beach is one of the best times to visit, especially toward the beginning of summer in late May. Both air and water temperatures constantly rise from mid-March to mid-June, making for more and more opportunities to visit the beach and take advantage of Mardi Gras-themed events happening across the region after Fat Tuesday. What to pack: You'll need to pack a variety of clothing to accommodate for the changing weather in spring. If you're visiting in March or April, you may still want to consider packing a medium-warmth coat for nighttime adventures, but you should still be able to enjoy the ocean during the day. On the other hand, if you're visiting in May or early June, you can leave the coat behind and bring a light evening sweater and beach gear instead. Although the summer is the warmest season, it's also the wettest—from late June through late September, you can expect an average of 13.5 days a month of rain. Still, it's the busiest time of year in terms of tourist crowds and fun events, so be sure to check the weather and plan your vacation itinerary around the dry, warm days, but also be prepared for humidity between 60 and 100 percent throughout the season. If you can stick out the weather, though, you can enjoy unique celebrations like the Billy Bowlegs Pirate Festival in June. What to pack: Packing for any Florida beach destination in the summer is pretty simple—bathing suit, a cover-up, and sandals. Just know that you'll also need resort casual clothing for dining out or going to a nightclub in the city—many of which have strict policies against tank tops and sandals. Although the Atlantic hurricane season coincides with much of the fall season, Fort Walton Beach is relatively dry from September through November with an average of eight days a month of precipitation. As a result, you're likely to experience plenty of days that are perfect for laying out at the beach or browsing through one of the arts and cultural festivals taking place throughout the season. Be sure to check out the Northwest Florida Fair in September or October and the beginning of the Christmas season after Thanksgiving. What to pack: As with spring, you'll need to pack a variety of clothing to accommodate for the changing weather throughout the fall season. As it's also hurricane season, though, you'll want to make sure to pack a raincoat and umbrella in addition to a warm coat for chilly evenings and light clothing for hot days. Fort Walton Beach experiences a temperate climate, but due to its northern location in Florida, winters can get quite cold (for the region) and summer temperatures rarely get as hot as southern areas of the state.